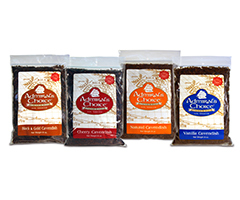 The Sutliff Tobacco Galleria Pouch line offers eight different High End exciting tobacco choices: Blue Note, Classic Vanilla, Fox & Hound, Midnight Smoke, Montego Bay, Night Cap, Rum & Maple and Wild Cherry. 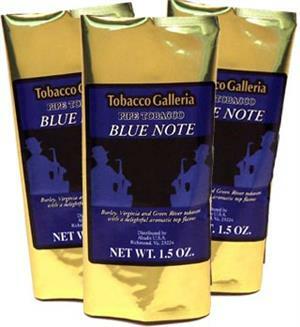 Made in USA by Sutliff Tobacco Co.
Tobacco Galleria Blue Note (1.5 oz. Pouch)- Inspired by the famous Blue Note Jazz Club in New York City, this blend of Burley, Virginia, and world-famous Green River Black Cavendish has been expertly blended for the utmost in taste. 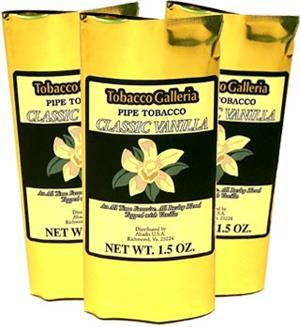 Tobacco Galleria Classic Vanilla (1.5 oz. Pouch)- An all time favorite. This blend is made with only the choicest Burleys, Golden Cavendishes, and Virginias available and offers a captivating aroma and taste that is one-of-a-kind. 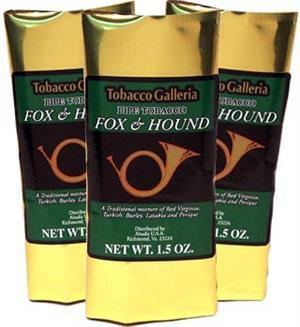 Tobacco Galleria Fox & Hound(1.5 oz. 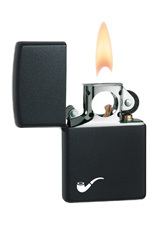 Pouch)- A traditional smoke for the discriminating English smoker. This mix of Red Virginia, Turkish, Burley, Latakia, and Perique is of medium strength and guaranteed to please. 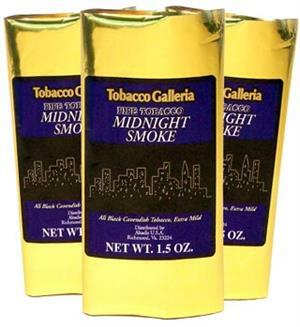 Tobacco Galleria Midnight Smoke (1.5 oz. Pouch)- A relaxing smoke of all Black Cavendish. A subtle vanilla flavor applied to 100% Green River Tobacco ensures the ultimate in smoking pleasure. 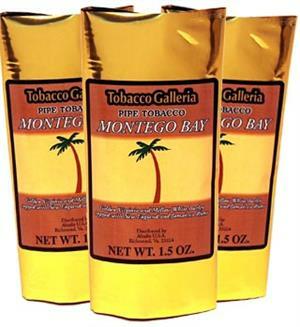 Tobacco Galleria Montego Bay (1.5 oz. Pouch)- An expert blend of Golden Virginia & Mellow White Burley. This Cavendish-style blend is topped with a subtle mixture of New England & Jamaican rums, producing a bite-free taste & captivating aroma. 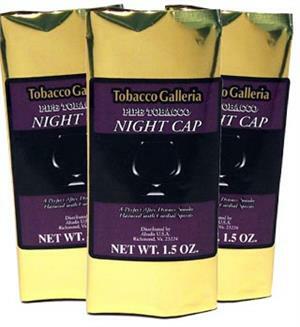 Tobacco Galleria Night Cap (1.5 oz. Pouch)- A new generation of pipe tobacco. This blend of four unique black fire-cured grades with added highlights of Sweet Virginia and cordial liquor is the smoke for the end of the day. 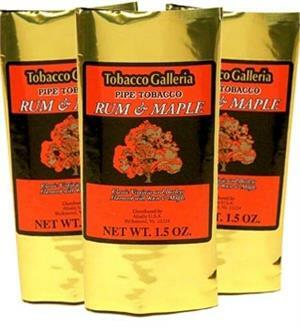 Tobacco Galleria Rum & Maple (1.5 oz. Pouch)- A familiar old classic, this blend expertly mixes Bright Virginias and rich Burleys with the contrasting flavors of rum and maple for an interesting and pleasant smoke. 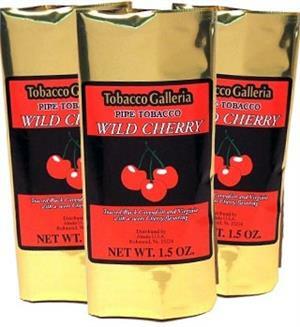 Tobacco Galleria Wild Cherry (1.5 oz. Pouch)- One of our most popular blends. Toasted Black Cavendish forms the base for this blend with bright Cavendish and Virginia, which is topped with subtle cherry flavor for sweetness.